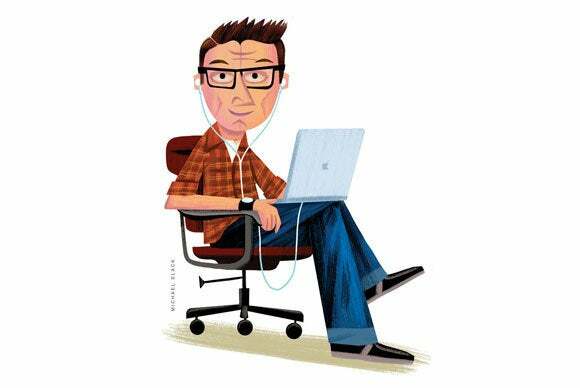 iTunes can be overwhleming, but Kirk McElhearn is here to help. Sometimes too much information makes things confusing; iTunes’ display of iCloud Status for movies and TV shows is one example. I explain what this means. I also discuss how to delete songs from a playlist on iOS 10, how to combine playlists in iTunes, and what happens when iTunes Match is turned off. Q: A friend showed me his iTunes library recently. In his Movies library, he has a column called iCloud Status, which says something about each of his movies. In my iTunes library, if I display that column, everything is blank. Why is this? This is an interesting question, but the answer is rather prosaic. The iCloud Status column is meant to show the status of music tracks in iTunes Match or iCloud Music Library. Apple has a support document explaining what these various statutes mean. I had never noticed that this column can display for movies (and for TV shows); it isn’t available for apps and audiobooks, for example. But for videos, this column only displays one of two possible statuses: Purchased or Ineligible. The iCloud Status column displays for movies or TV shows, but only offers two statuses. Given the way the movie and TV industries work, I’d not hold my breath about that being possible, though I’d love to see it. Imagine if you could insert a DVD in your Mac’s optical drive and have the iTunes Store match a movie? That would be really great. Q: I’ve had an iTunes Match subscription for a number of years but I’m going to let it expire when it runs out this month. When I turned off auto-renew, I saw a message saying that my matched and uploaded tracks would no longer be available on iCloud. I understand that, but will all the matched songs, downloaded from the cloud, stay on my computer? And if I sign up for iTunes Match in the future, what then happens? Deleting tracks from a playlist on iOS 10 takes a few more steps than before. Yep, Apple changed things again. Before, you could just swipe a track to the left to delete it from a playlist (but not from your device). Now, there’s a new way to do this. View a standard (i.e., not smart) playlist. Tap the Edit button at the top right of the screen. Tap the red - button, then tap Delete. Q: I want to combine all my different playlists into one so I can then separate the list into two different playlists for different types of music. How can I do this? Combining playlists is simple, but it may be complicated if you have a lot of playlists. To start with a simple example, lets say you have three playlists, A, B, and C. If you want to combine them, create a new playlist; let’s call it Z. Next, drag each of the playlists (A, B, and C) onto the Z playlist in the iTunes sidebar. This will add all the songs of each playlist to the Z playlist, but will also ensure that no songs are duplicated. If any of the songs you drag are already in the playlist (Say A has a few songs that are also in B), iTunes will alert you and ask you if you want those songs to be duplicated, or if you want to skip them. If you try to add songs to a playlist that are already in that playlist, iTunes will alert you. This can be a bit more complicated if you have lots of playlists. Some users have dozens, even hundreds of playlists. If you want to combine them all, the above process can take a long time. Doug Adams’ Merge-Delete Playlists AppleScript can do what you want. Select two or more playlists, and click the Merge button. His $2 Playlist Manager does even more. In addition to merging playlists, at can rename them, export them, mass-delete them, and much more.